I did this piece a couple of months ago but you haven't seen it yet unless you saw it on Facebook in the last 24 hours or you were at the show in Reno over the weekend! It's the Firearms Engravers Guild of America logo scrimmed in full color on a 30mm diameter piece of pre-ban elephant ivory. 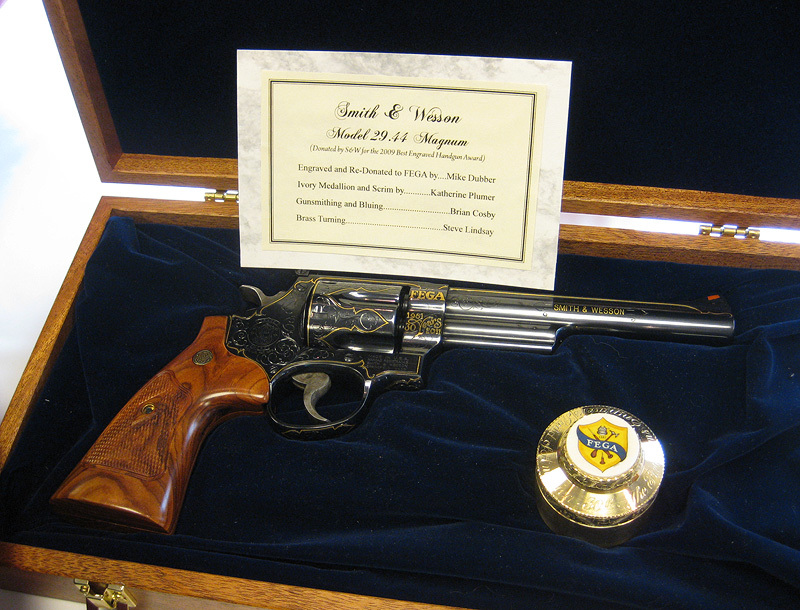 It was inlaid into the cap of an engraved brass oil can, and cased with an engraved Smith & Wesson .44 Magnum. Engraving by Mike Dubber. This entire set was donated to the FEGA auction, and raised $4000 for the guild. I was honored to be asked to participate in this project, and am pleased that my contribution helped raise money for FEGA. Your scrim is awesome. Mike's engraving is awesome. Of course, money raised is awesome too. 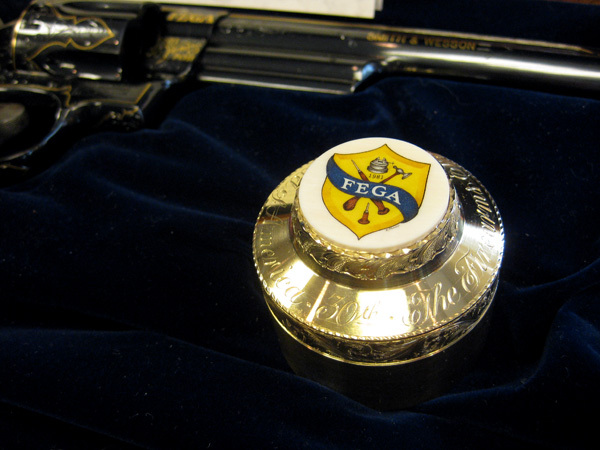 It's a delight seeing your work paired with big name gun and knife engravers. Awesome!